The crowns have been non-stop all day many remarkable people, most are familiar with Rice Lake. 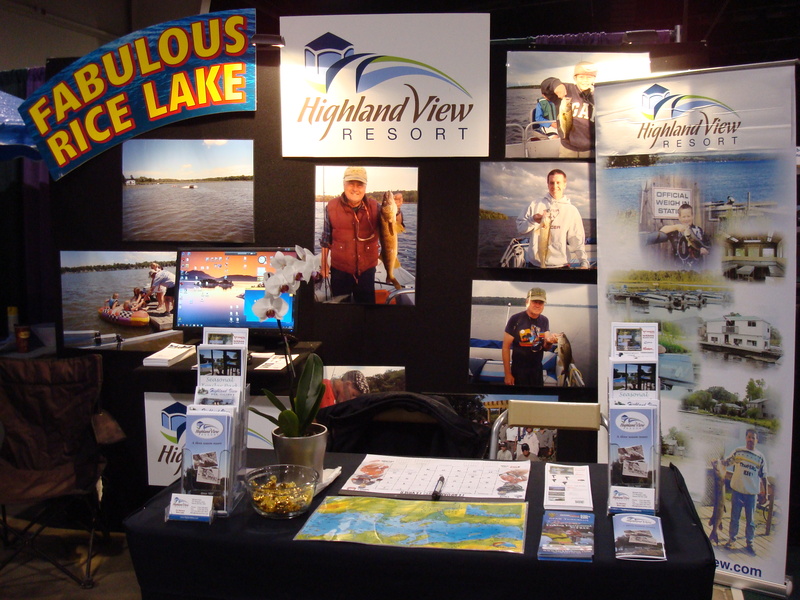 Sure is a lot of fun talking to these folks here at the London Boat and Fishing Show. London Ontario here I come Feb 22 to 24 it’s the London Boat Fishing and Leisure Show! We will be there getting things prepared and packed. Last year it was a good show met a lot of people. Hope to meet them there again this year. I’m here at the Spring Fishing and Boat Show. There is just 2 more days left to check things out. If you need something or not it’s the place to be. 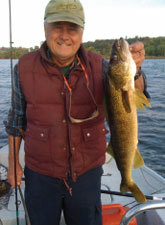 There are some great deals on fishing equipment and supplies. Happy New Year to all my many Chinese Friends and those that follow the lunar calendar. What a beautiful day to celebrate. Bright sunny warm for this time of year. It was a fantastic day people were out on the bay ice fishing. 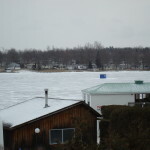 This was the first time that I noticed snowmobiles traveling the lake. The conditions were perfect just enough snow to keep the sliders lubricated. Just a perfect weather to spend outside and enjoy nature at it’s best. The biggest snow storm of the season hits hard! It started last night and continued all day and this evening. I think that work crews have forgotten how to deal with snow. It was like we no longer know how to deal with snow. 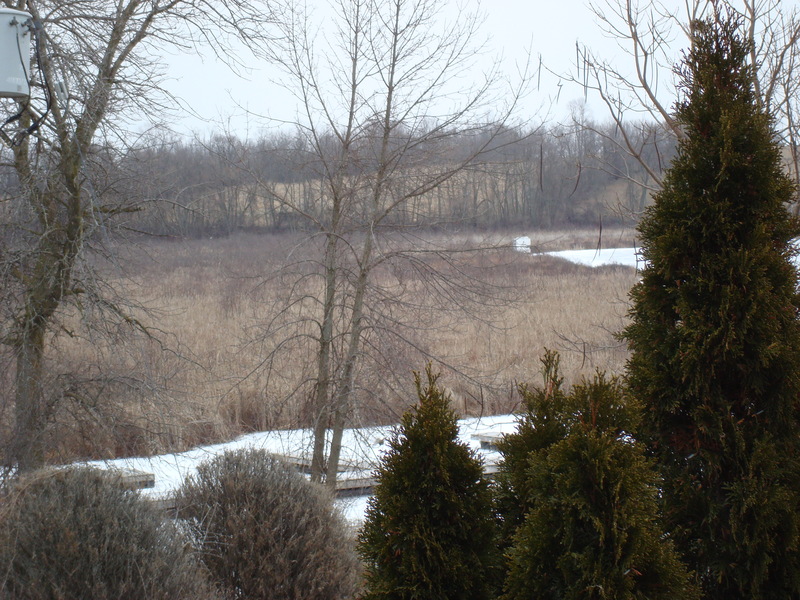 The roads were not plowed, it is only 12′ of snow we can deal with that! 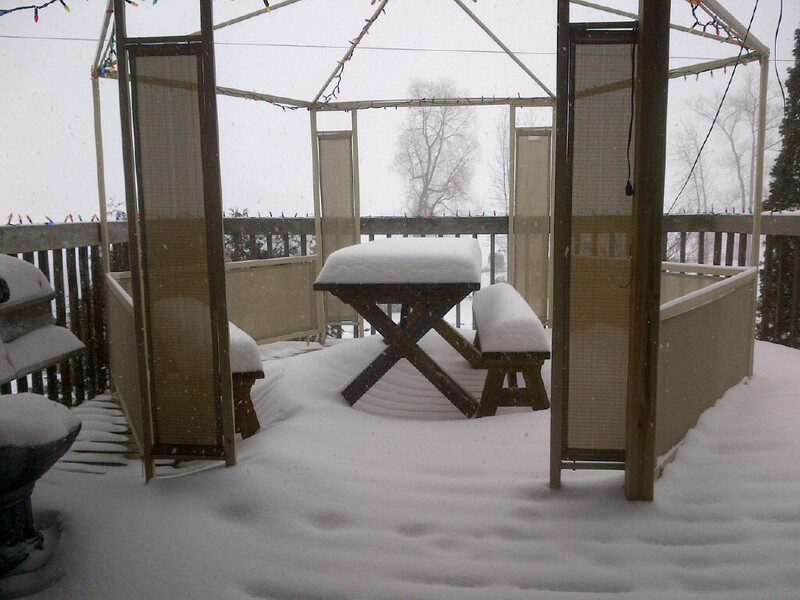 I must admit the snow was welcome ground cover. Now it really looks like winter even though we are on the down side of the frosty season. It’s winter everyone. The count down has started First the Sportsman Show. 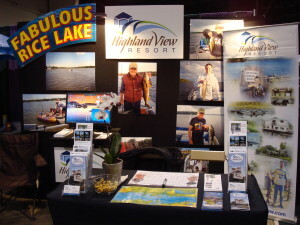 Second will be the Spring Fishing and Boat Show next I will that will be at the London Ontario Boat and Fishing Show. This picture was taken early this morning. There is over double that now. Once there were none, then there was one, but now there are three. 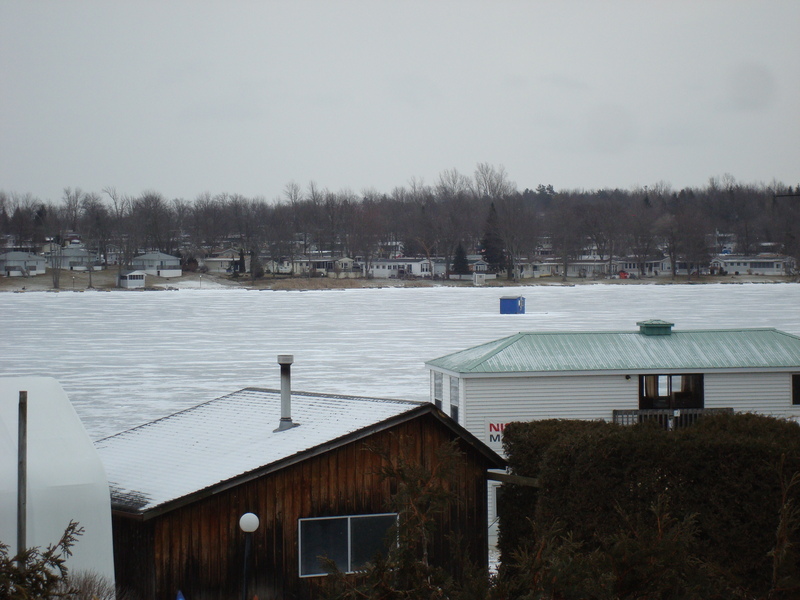 Yes three, three ice fishing huts out on the Bay. 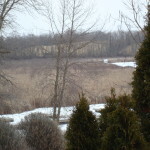 They are walking, four-wheeling and getting out there any way they can. Guess what, they are catching fish in the bay.